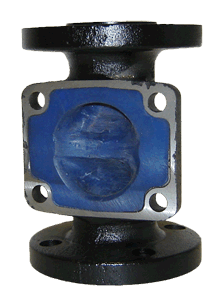 Hills McCanna | Unlined Valves, available in Ductile Iron, Carbon Steel, 316L Stainless, Alloy 20, plus other materials. 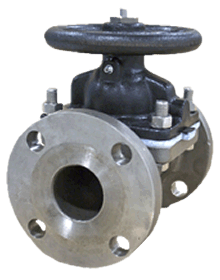 On pressure or vacuum applications, zero leakage in accordance with MSS SP-88. 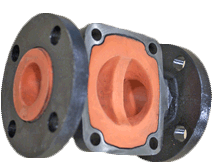 Ideal for both on/off and modulating applications. 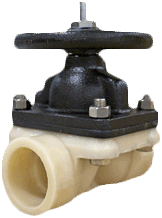 Streamline flow path is cavity free for excellent control capabilities. Smooth contoured body design has no cavities or pockets for smooth flow and contamination-free performance. 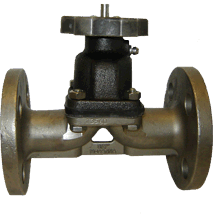 Hills-McCanna valves can be oriented to facilitate self draining.